This is a story about uniting generations and on this Memorial Day, and a reminder that no matter how much time has passed we must remember those who paid the ultimate sacrifice. Students at Renaissance Charter School at Palms West really had no idea how this story would end, but ultimately it culminated with them honoring a veteran taken too soon. 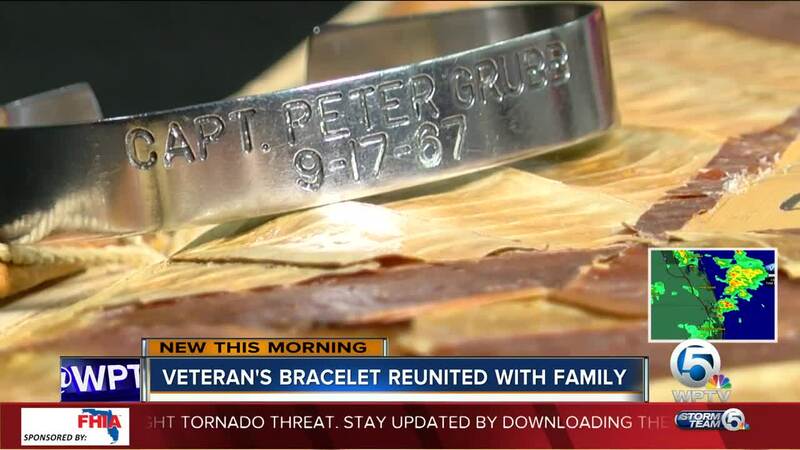 Teacher Joseph Cominio says his friend found a bracelet bearing the name of Air Force Capt. Peter Grubb. 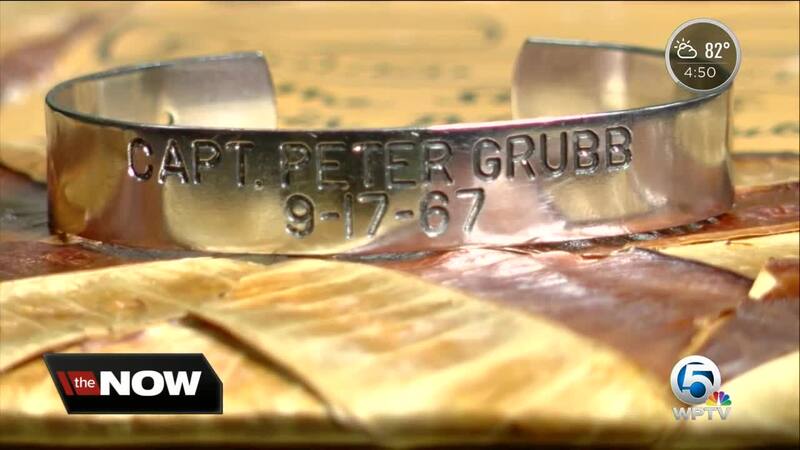 Cominio didn't know Grubb but chose to honor the deceased captain by wearing the bracelet. One day, Cominio told his students about the bracelet, which prompted them to do their research. "I learned a lot of things," one student said. "He only served for one month on the battlefield before dying." Grubb was in a plane that was shot down during the Vietnam War, and his parents never gave up on him coming home. "It was sad," Katia Gill said. "The fact that everyday (they thought) he was going to walk home, but never did." While learning more about Grubb, the group felt encouraged to honor him and find out who his family is. Last week they got to speak with Grubb's younger cousin Bryan Grubb via FaceTime. "It's very inspiring, very emotional," Grubb said. "You did a great job." Grubb was presented with a book the group created. They plan on mailing it to Captain Grubb's sister who lives in Pensacola. “For them to get a face to face meeting with Grubb's family, it really brings the whole thing to life," Cominio said. "It almost felt from the beginning that it was meant to happen." It was the students’ idea to put the book together. One of them said the family deserved nothing less. They felt that way not only cause he died, but because through their research they learned about the little respect Vietnam veterans received when they came home. The students said they wanted to at least right this wrong for this family.